For a fine finish to any Galli building project we prefer to install a personalized selection of higher-end products including stone, brick, tile and wood building materials, lighting fixtures, plumbing fixtures, hardware, state-of-the-art entertainment and electronic systems and more. Our recommendations typically represent the greatest value, while balancing quality, functionality and price. Impression specializes in providing genuine French limestone for luxurious floors, walls, fireplaces, counters and stairs. Providing design and construction services using dimensional stone for commercial and residential building projects. Since 1923 Peninsula Building Materials has provided stone, brick and building materials for fine residential and commercial construction projects. Architects and designers consult with Haussmann to acquire the best limestone for their projects. Large slabs of over 500 different types of stone for fine residential and commercial properties. Slabs, tiles and other products for high quality residential and commercial buildings. Fine ornamental and architectural cast stonework and statuary for landscapes, gardens and architectural needs. NVCS Cast Stone Systems offers premier dimensional cast stone products that are at the top of their industry. 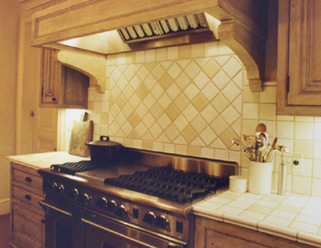 Walker & Zanger, Inc. is renowned for their natural stone and ceramic, metal and glass tile. Country Floors specializes in a huge variety of tiles for floors and walls. Manufacturer of fine tile, stone and other unique decorative fixtures and hardware. For nearly 40 years Carlisle Wide Plank Floors has been carefully selecting, custom grading, air drying and handcrafting wide plank flooring for fine homes. Sierra Pacific Windows is a division of Sierra Pacific Industries. Together with its affiliates, Sierra Pacific is one of the largest privately held timberland holders in North America. Manufacturer of premium quality wood and aluminum clad windows and doors. Over 100 year history distributing premium quality wood flooring, windows and doors. A distributor of wood flooring and related products for over 70 years. Didicated exclusively to the sale and distribution of the Robbins and Bruce product lines. Pella offers a complete line of beautiful products including windows, patio doors, entry doors, storm doors and skylights. Manufacturer of products to customer's specifications, no matter how complex or intricate. Kenner-USA specializes in supplying premium European fenestration to architectural projects throughout the United States and Pacific Rim. Supplier of residential and commercial bathroom products and the World's largest manufacturer of toilets. A leading supplier of designer bathroom fixtures and other products. KWC has been developing and producing faucets for over 125 years and is now the leading Swiss manufacturer of innovative, high-end water technology products. Sinks and faucets in a variety of styles, materials, and colors for the kitchen or bath, and custom fitted accessories. One of the leading faucet brands used in custom homes and upscale remodeling projects. Over two decades of history creating luxury bath and kitchen items including hardware and surfaces. Plumbing N' Things carries most major manufacturers for high end residential properties. Phylrich creates world class decorative plumbing product with innovative designs catering to the finest designers and architects and their clients. The largest selection of whirlpool bathtubs, showers & toilets on display in the United States. Sherle Wagner is recognized for their fine luxury hardware and bath accessories, plus high quality interior design products. Handmade kitchen components by a recognized leader in the industry; and now, partnered with Wolf cooking appliances. Thermador offers an extensive line of kitchen appliances; ranges, cooktops, ovens, and many more items for gourmet kitchens. After more than 80 years, a large selection of kitchen appliances for gourmet kitchens. Fisher & Paykel produces quality kitchen appliances and related products. Form and function are built-in to each and every European-designed frame. Many examples of high end kitchen appliances for gourmet kitchens. Full service provider of appliances and related products to the residential construction, property management, remodeling and designer markets. Nearing a hundred years of history as a specialist in creating fine major kitchen appliances. The Purcell Murray Company is a distributor of premium kitchen and bath products. Jade® Products Company has engineered high quality cooking appliances for over 30 years. Quality and dedication continue to make Bosch a leader in upscale appliances. Redefining the standard for high-end, commercial quality cooking equipment. Products include their specialty: Top of the line frameless shower enclosures. P.E. Guerin, Inc. has grown into a worldwide business over the last 137 years. Manufacturer of premium brass drawer pulls and door and cabinetry hardware. Distributor and manufacturer of premium pulls, knobs, escutcheons and other materials. Manufacturer of premium quality door, bath and other decorative brass products. Lutron is a family business recognized worldwide as the undisputed leader in the area of lighting controls. ADI Link is the #1 wholesale supplier of security and low voltage products including burglar and fire alarms, home automation and more. FutureSmart is one of the pioneers in the structured wiring and home networking market. Lightolier is the most complete line of interior architectural luminaires and lighting controls from any single manufacturer in the industry. Capri offers a broad range of lighting fixtures including downlighting, track lighting and many others for residential and commercial properties. A leading provider of innovative, high quality lighting fixtures and related products to worldwide commercial, residential markets. Techtron is a manufacturer of specialty lighting fixtures dedicated to the residential market. Schonbek has been making higher end lighting fixtures for homes and businesses since the mid 1800s. At Heritage Lanterns, exquisite lighting meticulously handcrafted by skilled artisans is an art that is very much alive. Since 1906 the Company has become a leading North American producer of electrical and electronic products. Panasonic offers state-of-the-art telephone and communications systems. Grand Central Built-In Vacuum Systems for advanced cleaning and health needs. Since 1986, Runco has made large screen projection systems using the latest refinements in video display technology. Stewart Filmscreen Corporation manufactures professional projection screens including completely custom-built components for home and business. Crestron manufactures advanced control and automation systems for the integration and control of audio, video, computer, the Internet and more. Pioneer is recognized as a leader in technology advancements in the consumer electronics industry. Manufacturers of very high-end entertainment systems for audiophiles; still assembled by hand. Velodyne Acoustics is committed to engineering and producing the finest quality and highest performance speakers and subwoofers available in the industry. SpeakerCraft is one of the world's leading manufacturer of custom entertainment system installation products. Sonance is on the leading edge of architectural audio with in-wall and in-ceiling home theater systems. Alarm Device Manufacturing Company (ADEMCO) is an international powerhouse with one of the most trusted, recognized and well-respected names in the security industry. Silent Witness Enterprises Ltd. designs and manufactures a full range of video monitoring technology for the global marketplace. Carrier has been a world leader in the manufacture and sale of heating, ventilating, air conditioning, hvac systems and related products since 1902. Lennox delivers maximum comfort, efficiency and functionality, with some of the most innovative and reliable interior environmental control systems available. Since 1932, Broan has been protecting your family and home by designing premium quality air filtration, ventilation, and household convenience products. Nutone offers a myriad of interior products including ventilation, vents & hoods, door chimes, intercom systems and many more. Whole Home Solutions essential to enhance your health and home environments. Practical, safe and functional, the perfect addition to your home and your lifestyle.